Your plumbing or contracting business is important and protecting your productivity, profitability, and people matters to us. That’s why our highly-skilled team of industry experts at PrimeLine Products, Inc. offers the quality safety equipment that you can use for all of your projects. For all of your trenchless rehabilitation projects, turn to our expertise. Our professionals have been working in the industry for years, so they understand your needs, technical requirements, and expectations. They can put that knowledge to work by offering industry-leading solutions that you can use to finish your projects cost-effectively, time-efficiently, and safely. We understand the dangers of the trenchless plumbing industry. From slips and falls in wet environments to combustible materials and poor ventilation in tight underground spaces to everything else in between, you and your employees can be exposed to a lot in the course of a day’s work. Our knowledgeable team understands all of that and works hard to provide top-notch safety equipment that can help protect you in any situation. We can equip your team with new safety equipment and provide hands-on training so you can feel confident that you’re using it correctly. We can also help you determine if your existing safety equipment needs to be replaced. Aging and deteriorating safety equipment can fail in those critical on-the-job conditions, but our team can help get your business supplied with state-of-the-art tools that are built to last and protect. 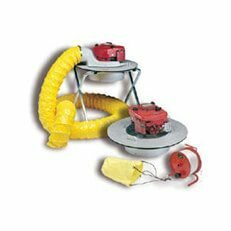 Confined space entry equipment. From confined space tripods to winches and full-body harnesses, we offer OSHA-approved equipment for your project needs. Our equipment can help you quickly place and retrieve your technicians in the most comfortable and convenient way possible so you can get the job done without danger. Gas detectors. We offer real-time displays for H2S, CO, O2, and %LEL. Our gas detectors have alarms with adjustable set points, fully-functioning self-tests, and alarms with visual, audible, and vibrating features to help keep your team safe and hazard-free while on location. Ventilators. Our blow-in and suction ventilators can minimize vibrations, string sewer lines without plugging them, and work in various flow conditions. They can help keep vital fresh air flowing through your workspace and promote the adequate ventilation your crew needs to stay healthy and out of harm’s way. Keep your workplace safe with practical safety equipment that can help you get the job done right the first time around. To learn more about our quality products and equipment that can meet your business needs and keep your team safe, turn to the experts at PrimeLine Products, Inc. of Altamonte Springs, Florida. We can work closely with you to meet your particular needs and offer the solutions that can help your business grow and flourish quickly, professionally, and safely. 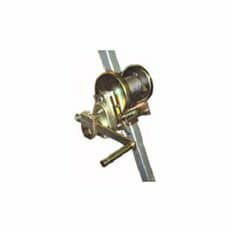 PrimeLine Products offers a full line of Confined Space Equipment including : Confined Space Tripod, Winch, Full Body harnesses. 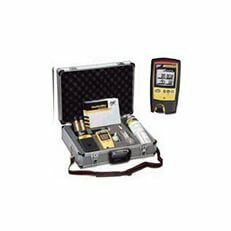 This equipment meets OSHA 1910/1926 and ANSI Z359-1992 requirements. Displays real-time gas concentration for H2S, CO, O2 and %LEL. LOW, HIGH and TWA alarms with adjustable set points. Full function self-test. Vibrating, visual and audible alarm.